New York living can be weird. You spend way too much money leasing out closets and sharing rooms with old Chinese women, all in the name of being in the city some believe to be the greatest on Earth. At least in comedian Greg Barris’ case, he’s getting a good story out of it. 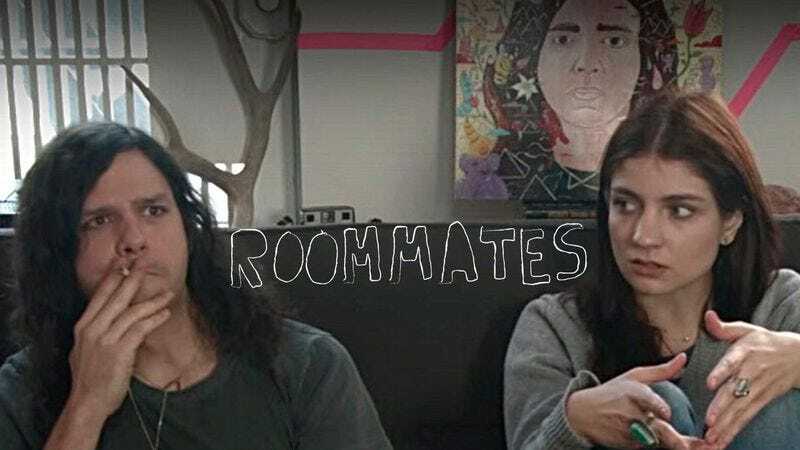 Barris currently shares his East Village apartment with a 21-year-old, a situation he and actress Bridey Elliott are mining for comedy gold in the new web series Roommates. The A.V. Club is premiering the first episode below, which Barris says is “based in reality,” especially because “Bridey actually borrowed most of [his roommate’s] wardrobe.” And if the clip seems loose and free, that’s because, “unlike other web series,” both Barris and Elliott “smoked mostly real marijuana every day throughout the taping of each episode. And during the down time. And usually right after we woke up, even though this made shooting sometimes very difficult.” Written by Barris, Elliott, and Mike Pomranz and directed by Jeremy Morris Burke, the series is mainly Barris and Elliott’s attempt to try “to fill the gap that Entourage has left in our hearts,” though Elliott also “hopes to get pregnant from the views,” which seems about right. A new episode of Roommates should hit the internet every week for the foreseeable future.